The Model PW 1.0 is a regulated 0.5 amp power supply that accepts 24 VAC at the input and provides 24 VDC at the output. 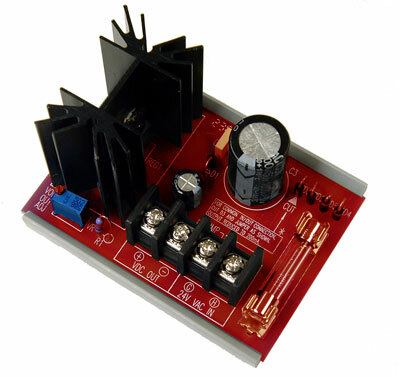 The PW 1.0 can be ordered with any output voltage from the 1.5V to 29 VDC. Field voltage adjustments may also be made using only a screwdriver. The power supply is provided with a mounting track for easy field application. These low cost power supplies feature good regulation and have full overcurrent protection.